In 2001, Rhio O Connor was diagnosed with mesothelioma. He was told by doctors that he only had a few months to live, given that the tumor was too close to his spine, and chemotherapy would not make his life any better. Despite all the odds Connor lived for 7.5 years to be 69 years old. Connor’s story should be an inspiration to all. He surpassed many obstacles to obtain the final goal of life. He did this by deciding to choose a different treatment besides chemotherapy and other traditional treatments. He changed his entire diet and began a routine 100 pill supplement plan. By doing research and having faith, Mr. Connor overcame what the doctors would kill him in less than a year. Mesothelioma is a rare form of cancer that attacks not the organs themselves, but the lining that protects them. More often than not, this is caused by exposure to asbestos. There are three forms of Mesothelioma: Pleural Mesothelioma which is the most common, affecting 70% of recorded cases each year, and attacks the lining of the lungs; Peritoneal Mesothelioma that occurs on the lining of the stomach, and lastly Pericardial Mesothelioma which occurs at the lining of the heart. There are only three options to consider when trying to cure Mesothelioma. The traditional chemotherapy includes Alimta and Cisplatin which are two of the latest breakthroughs in curing. The other two options are radiation, and surgery to remove cancerous tissue. Being a cancer survivor myself, I can truly appreciate the strong will this man had. Being that I was of such a young age I did not particularly have a say in what treatment I had done, nor did I know what my parents chose. Now that I am older I think back on the hard decision my parents faced having to place their eldest child under chemotherapy. However I honestly have to say that it saved my life. This is why I would personally chose chemotherapy as my first choice if I were diagnosed with a dire diagnosis. I would still talk to my physician, and my mother who is a nurse of 20 plus years. Both of these components would be the leading forces that would drive me to my ultimate choice. If I were to be diagnosed incurable as Mr. Connor was, my first step would be to cry. Once I came to acceptance I would consult another physician, because it’s always better to have numerous perspectives from different professionals. If all results pointed to my being incurable, I would begin to research an herbal treatment. Similar to the way Connor changed his diet, however I wouldn’t go as far in depth as he did. It is known that many herbs such as Echinacea boost your immune system and have been reported that it allows your immune system to hold up to existing cancers. There are many vitamins that can be used as a suppressant such as lysine and pro biotic. I would also look into Complementary and alternative medicine. Some examples acupuncture, chiropractic, and herbal medicine. 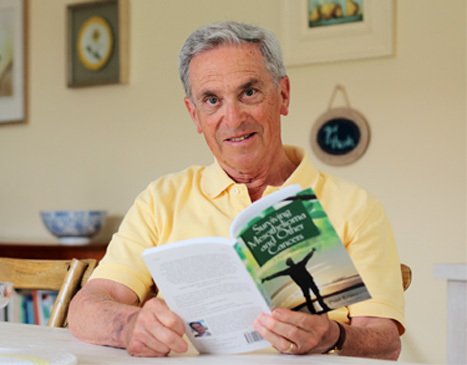 There is a book called Options: The Alternative Cancer Therapy Book by Richard Walters that goes into detail about the different alternate treatments. Although these methods are not proven to completely cure cancer, it can help with subsiding side effects. Acupuncture can help subside the pain and nausea. Chiropractic has the same relieving sensation, and herbal medicines such as Echinacea can be taken as a tablet, capsules, teas and other ways. Rhio O Connor has inspired me to push forward despite what people have to say. Although I had that mind set instilled in me prior to learning of Mr. Connor, he has shown me that literally anything is possible. I have even been inspired to get into a healthier diet, and exercise more, especially since I am a culinary student and I know what negative effects certain foods can have on any previous conditions. It is very inspiring that he never gave up faith. He had hope through to the end, which is a lesson in itself. My father used to tell me that through God, all things are possible, which is why I would have the strength to do as Mr. Connor had. He should be an inspiration to all, regardless of what is going on in your life. His story proves that nothing can stop you from trying to reach your goals.